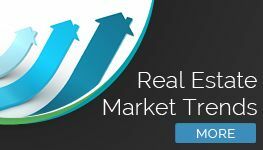 (SanDiegoRealEstateBuzz) – It's that time of year again! 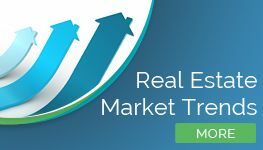 As we head into summer sales season, we expect to see sales and prices go up... but last month, we saw slight increases without any major shifts in trends. Historically, however, as the school year winds down, many homeowners' thoughts turn to real estate as they gear up for a move during the summer months. It's still a seller's market, and home buyers should jump on the opportunity to buy before prices rise, as they tend to do over the summer. As we entered the month of May, home buyers had 5,540 homes from which to choose. This represents an uptick of 12 percent from April, when 4,933 homes were for sale in San Diego. Of these, detached homes saw a 12 percent increase in inventory, rising to 3,963 available homes from 3,530 in April. Inventory of attached homes increased by almost 12.5 percent, rising from 1,403 available properties in April to 1,577 in May. Last year, there were 4,982 San Diego homes for sale in May. This represents an 11 percent jump in inventory, year-over-year. Last month, a total of 2,790 properties were sold in San Diego; this represents a 3 percent increase over the 2,702 homes sold in March. Detached homes sales grew at a greater rate, increasing by more than 3.5 percent month-to-month. 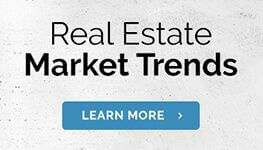 Attached home sales increased by 2.5 percent, from 958 sales in March to 982 sales in April. Looking at last year's sales totals, we see that the number of homes sold dropped by just over 6.5 percent from 2017 to 2018. Last April, 2,974 homes sold in San Diego, representing a slight slow-down. 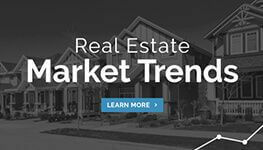 The average number of days spent on the market held steady, with detached homes spending the same 29 days for sale in April that they did in March. Attached homes spent just one less day for sale, at an average of 23 days in April as compared to 23 in March. These numbers closely reflect last year's statistics; in April 2017, detached homes spent 30 days on the market, while attached homes spent 23 days for sale on average. As for home prices, steady is the word of the month. Detached homes had a median sales price of $635,500 in April, an insignificant drop of .04 percent from March's median price of $635,750. Attached home median prices, however, rose slightly, gaining almost 5 percent as they rose from $409,000 in March to $430,000 in April. We do see increases over 2017 prices, though. The median prices of a detached home rose by 6 percent, from $599,700 in April 2017, while attached home prices rose by over 10.5 percent from a median of $388,500. This month, we saw an increase in interest rates. Rates rose to 4.41 percent in May, the highest level we've seen in several years. For comparison, April 2017 rates clocked in at 3.93 percent. This uptick shouldn't come as a surprise, but it does underscore that home buyers should act now to secure lower rates. Overall, the market held steady from April to May. While interest rates and home sales went up slightly, median sales prices and inventory didn't fluctuate too much. There's still much opportunity for home buyers and sellers alike, and the time to act is now.